The 9 Best Candy Shops in Iowa! To satisfy that candy craving that is all too common in all of us, the state of Iowa can give your sweet tooth what it needs with a wide variety of candy shops found throughout the state. Whether you want something gummy, chocolatey or downright delicious, Iowa’s confectioners are ready to give you what you’re looking for. 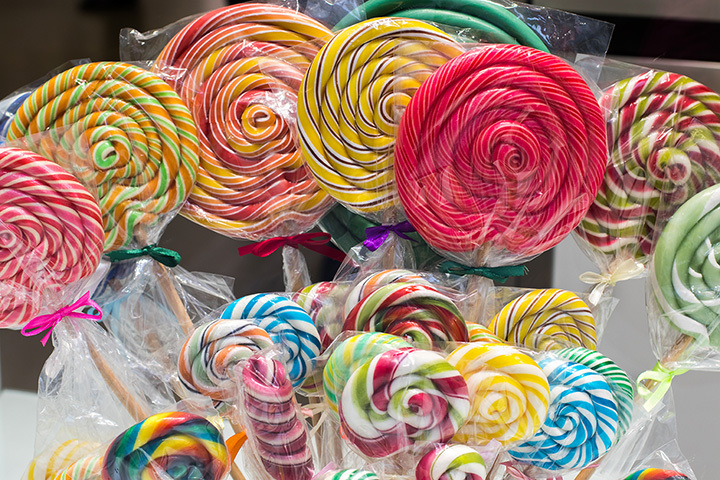 To find your favorite piece of candy, or perhaps to discover a new one, be sure to check out these nine best candy stores in the state of Iowa! Just the smells alone make a visit to the Chocolate Storybook in West Des Moines worth the visit, and the moment you walk in and catch that dark aroma of fresh made chocolate, you might not be able to control your confectionary cravings. Featuring old classics and new staples like chocolate bacon, the selection of holiday-inspired treats and gourmet chocolate at the Chocolate Storybook make them one of the best candy stores in Iowa. Located in the Old Capital Mall in downtown Iowa City, Sweets and Treats lives up to their name with a wide selection of candy, chocolates and things to make you smile. Whether you’re looking for a personalized assortment of gourmet chocolates, or you fancy some candy from other cultures, perhaps you’re looking for your jellybean fix, then Sweets and Treats has everything and more you’re looking for. Family-owned and operated for over a century, Lagomarcino’s is a staple sweet shop in the state of Iowa, and this Davenport businesses has nearly perfected the art of candy making. Nothing will improve your day better than opening a personalized box of chocolates with Lagomarcino’s embroidered on the front, and even after your sweet tooth has been satisfied, Lagomarcino’s also offers a complete soda bar and deli which pairs nicely with whatever dessert you decide to go for after your meal. Main Street Sweets in Cedar Falls believes that life is sweet, and to add a little sugar into the mix, this locally owned candy store features custom candy packages, unique individual items and of course a wide variety of chocolates to go crazy for. The comfortable atmosphere in Main Street Sweets will have you wanting to stay awhile, and the sweets on theirs shelves will have you coming back for more. Kalona Chocolates is a family-owned business in the Amish inspired community of Kalona, and like the neighboring businesses in the area, Kalona Chocolates was built with the surrounding heritage of good, honest work. That’s why you can find the conventioneers meticulously toiling over their final products, of which they encourage visitors to watch them make. The result? Some of the finest chocolate items and candies you can find anywhere else in the state. Featuring locations both in Dubuque and Marion, Betty Jane Homemade Candies has quite the reputation for mouth-water delectables made to order. With a wide and varied menu that adjusts to the holiday seasons, some of Betty Jane’s signature items include milk chocolate gremlins and milk chocolate Betty’s bites, which are worth the drive no matter the direction you’re coming from. Located within the historic Amana Colonies, the Chocolate Haus has set a high bar for culinary perfection. The Chocolate Haus invites visitors to watch as they handcraft their creative confections, including chocolate-dipped strawberries and truffles, and even if you don’t stay for the show, the welcoming environment and free smells emitting from the Chocolate Haus are worth even a small visit. Celebrating over three decades in the Spirit Lake Area, Goodies Handmade Candies has flourished as a business thanks to their high attention to detail and creative confectionary inventions. Open seven days a week, stop into Goodies Handmade Candies to grab some Milk Pecan Turtles or a holiday assortment of sweets, and whatever you do, try not to eat your entire purchase on the way home after leaving Goodies Handmade Candies in Spirit Lake. For a blast into the past and a sugar-craving easily met, Palmer’s Old Tyme Candy Shoppe in Sioux City creates the perfect environment for your next candy shop outing. Palmers packages and delivers candy across the nation, but to get a real taste of where this historic business came from, their downtown Sioux City Candy Shoppe is replicated from days of old when candy shops and soda fountains were a staple part of the community.